Depending on your mood, there are a number of ways to get around Christchurch. If you want to get up close and personal consider a bike tour, either by renting a bike and taking yourself to the must-see sights, or by joining a guided bike tour, where you're less likely to miss anything out. If you like a few more wheels in your transport don’t worry, there are many bus tours for you to enjoy as well – including ones that show you the rebuilt areas of the city. Chat to one of our Travel Experts to find out more. Once you’ve explored the city from the ground, why not get an aerial view? A scenic helicopter trip is a spectacular way to get a bird's-eye view of the city, while a gondola ride up Mount Cavendish is a slightly more leisurely, and affordable, option. When you reach the top, watch a video about the geologic and human history of Christchurch on the Time Tunnel ride, and grab a delicious lunch from the café. Or why not enjoy a trip along the River Avon, propelled by a skilled punter dressed in traditional Edwardian garb? 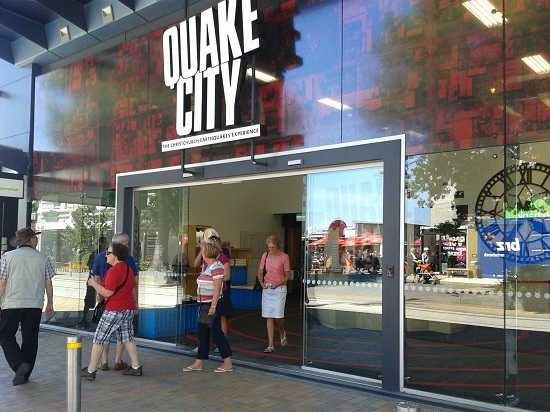 It's a low-impact way to experience Christchurch from a unique perspective. Depending on your departure point, you can also boat through the heart of the city or the botanical gardens for an interesting group or family activity. 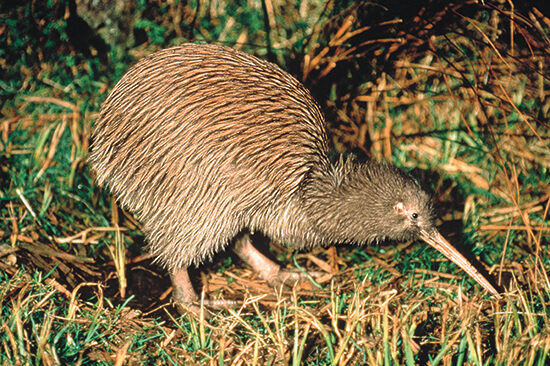 When visiting New Zealand, chances are you’ll want to get a look at the country's most famous native bird: the kiwi. At Willowbank Wildlife Reserve you’ll have your best chance of a natural up-close encounter, without glass enclosures getting in your way. The Reserve is also home to New Zealand’s other native animals, the kea and tuatara, as well several exotic species, many of which will literally eat out of your hand. Orana Wildlife Park is New Zealand’s only open-range zoo, and is also the only place you can see gorillas in the country. Set amid nearly 200 acres, here you’ll also get a chance to spot the native kiwi, various reptiles, and big cats at play – we particularly love the drive through the lion reserve. The park is also home to elusive Tasmanian devils and white rhinos, as well as being packed full of educational talks, feeding shows and a farmyard, where you can pet domestic species. It should come as no surprise that the 'Garden City' has a plethora of parks and gardens for you to explore. 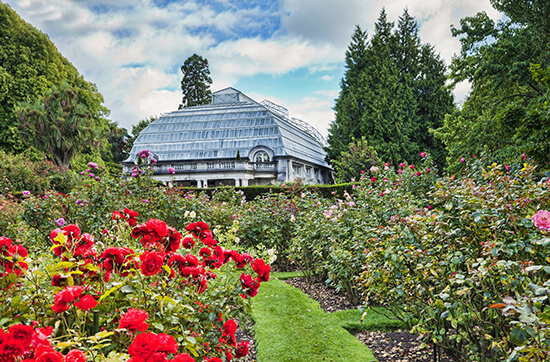 The Botanical Gardens is the most obvious choice, and for good reason: it’s New Zealand’s largest inner-city park, playing host to over one million visitors a year. The gardens showcase not only flora from the Land of the Long White Cloud, but also other parts of the world, demonstrating beauty through all the seasons. Hagley Park is another great choice; the vast green space is perfect for a stroll, run or picnic. Riccarton House and Bush is the last remaining forest remnant on the Canterbury Plains and is particularly worth a visit if your time in Christchurch is short. You can pass under tall kahikatea trees and discover a range of smaller trees and other plants. It’s also conveniently adjacent to Dean Cottage, Christchurch’s oldest house. If sea and sand are your preferred forms of the great outdoors, take a short drive to New Brighton and take a stroll down New Brighton Pier, or head to Sumner Beach for glorious sand and a beautifully paved promenade – perfect for cycling or walking. For a dose of New Zealand’s rich and varied heritage, try the free-to-enter Canterbury Museum. Here you'll see rare Maori artefacts and hear the story behind them, visit the famous Paua Shell House, beautifully recreated inside the museum, and learn about the pioneering days and heroic age of exploration and discovery. Also worth a visit is Quake City Museum, a specialty centre for learning about the catastrophic earthquakes of 2010 and 2011, how the city was rebuilt, and how its people are moving forward. Educational and moving, you can discover the science behind the earthquakes, why Christchurch was so badly affected, and also hear the heart-wrenching personal accounts of the events. The museum also provides a snapshot into the Maori folklore that makes up Christchurch’s history. Also appearing in Christchurch as a result of the earthquakes is the Cardboard Cathedral. Technically a temporary structure, it was designed by architect Shigeru Ban and is situated several blocks away from the original Christchurch Cathedral, which suffered significant damage in 2011. When services are not taking place you’re free to walk around the cathedral and check out the information on display there. While visiting this amazing structure, it's worth going to the nearby Empty White Chairs Memorial too, a unique and poignant memorial put in place to remember those that lost their lives to the earthquake. We love Christchurch, but there's plenty to do outside the city too. If kayaking floats your boat, consider renting one and using it to explore Quail Island in Lyttelton Harbour; be sure to land though and explore all the history this fascinating island has to offer. And, if you like other people to be in control on the water, don’t worry, you can hop on a ferry to get across. The snow-fed waters of the Waimakariri River enter canyons and gorges, where steep rock faces are lined with native forests, and you can explore it all on a jet-boat ride. You can enjoy a short adventure tour through Lower Waimak, Waimakariri Gorge, or a longer 'Canyon Safari' adventure and see breathtaking views of the rugged, powder-dusted Southern Alps. 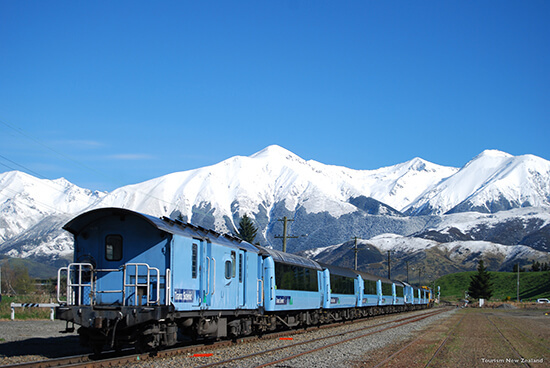 For a more sedentary style of adventure, the TranzAlpine scenic train journey between Christchurch and Greymouth offer the perfect trip. See the fields of Canterbury Plains followed by the gorges and valleys of the Waimakariri River. From there you’ll climb into the Southern Alps before descending back down to the lush rainforest and the west coast town of Greymouth. Experience all this from the comfort of a world-class carriage, gazing out of huge panoramic windows while enjoying authentic New Zealand cuisine from the onboard café. If you’re anything like me, then the big New Zealand draw is the opportunity to explore a little bit of Middle Earth. While the Lord of the Rings films weren’t shot in the heart of Christchurch, a full-day trip to Mount Sunday in a 4X4 would allow you to explore the fictional village of Edoras. Here you can pose with replicas from the films, take a guided tour, and see exclusive photographs of the village under construction as you take in views of the Misty Mountains. Visit Christchurch on our Essential South Island Journey – 15 days from only £2559pp. Make an appointment with a Travel Expert to find out more. I generally like my destinations quiet, green and full of stories… But I'll go just about anywhere if the food is good enough.